Introducing HEXBUG Nano V2 Black Hole Set. The Black Hole enables Nano V2 super-fans to customise the design and layout of the three-story set, unleashing kids’ creativity. HEXBUG Nano V2 Black Hole Set features special accessories including a spiral tube which the Nano V2 will pirouette through as it searches for a more expansive view atop the crow’s nest, the highest point of the set, at which point it will venture back down to free fall through the black funnel, emerging out of one of three exits in order to explore new territory. 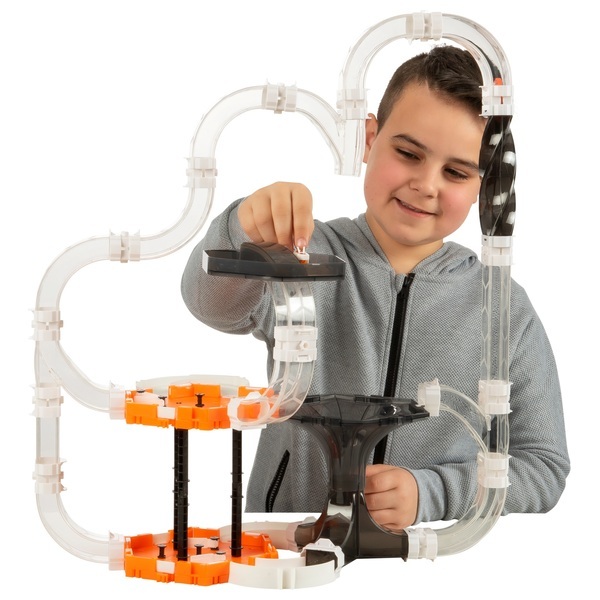 Users of HEXBUG Nano V2 Black Hole Set can further control the flow of traffic by filling the attachment points on the two HEX cell bases with accessories such as fixed pegs and rotating flags that help direct where the explorative micro robot roams.